The year may not be over yet, but for 2017 we have picked our top 7 mattresses. We chose seven beds that all ranked at the top of our list, but also have their own distinct qualities that sets each one apart. 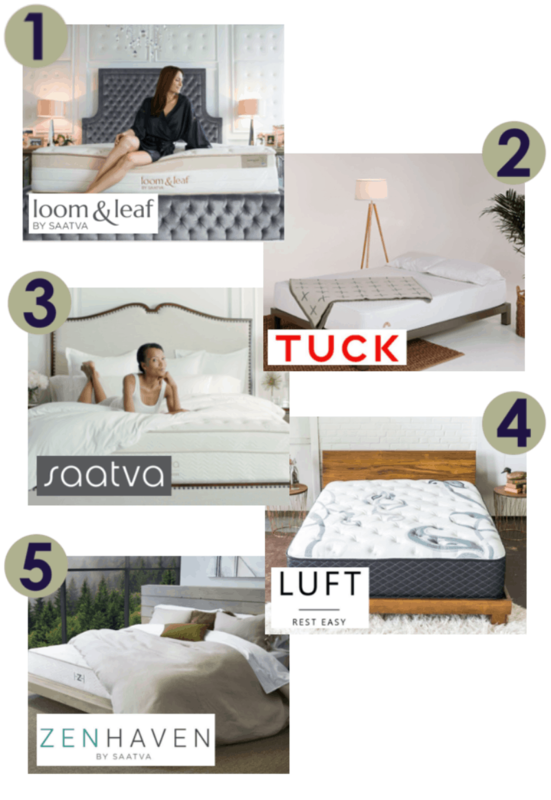 Below we have a summed up version of each of our reviews and buying guides and highlight some of the key points of each sleep mattress. For more information and the full review of each bed frame, make sure you click on our links after each synopsis too! Get ready to see the 7 Best Mattresses 2017 has to offer! The year may not be over yet, but for 2017 we have picked our top 7 mattresses. We chose seven beds that all ranked at the top of our list, but also have their own distinct qualities that sets each one apart and can fit various sleeping styles. Below we have a summed up version of each of our reviews and highlight some of the key points of each mattress. For more information and the full review of each bed make sure you click on our links after each synopsis too! Get ready to see the 7 Best Mattresses 2017 has to offer! This mattress was one of our favorites and even is our top rated mattress of 2017 and our favorite memory foam mattress of the year. For stomach sleepers, side sleepers, and those who sleep on their back, this cooling foam mattress is definitely one you should check out. This bed exceeded our expectations to make it an almost prefect memory foam mattress for the money. 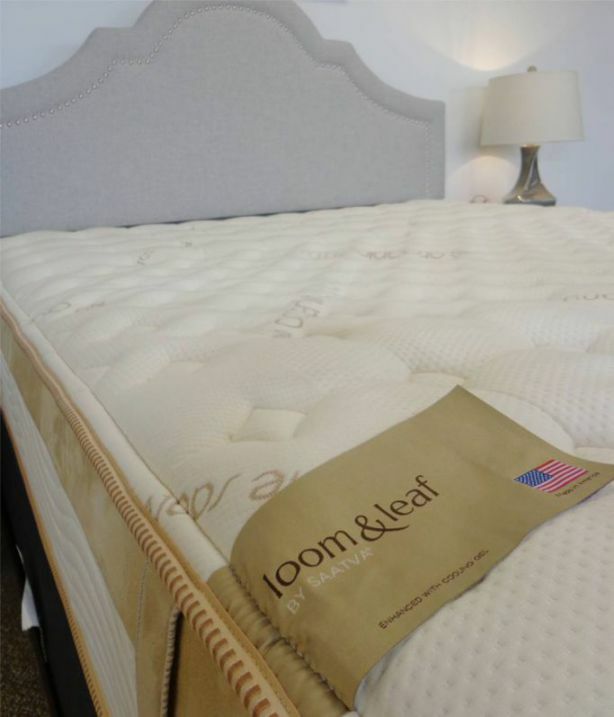 If you are looking for a high quality, premium memory foam mattress, read more below about the Loom & Leaf. Want to jump to the full review? Just click HERE for even more details and our video review too. 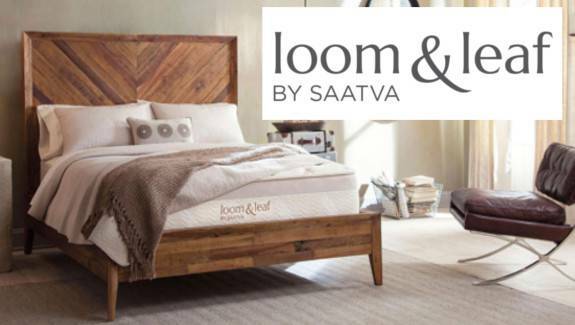 The Loom and Leaf mattress by Saatva is a ultra-luxury memory foam mattress that shrinks the competition. Literally! This 12″ thick premium all foam mattress uses quality, dense layers of foam along with top notch construction to create a perfectly contouring and responsive mattress. The Loom & Leaf bed is a fraction of the price of mattresses that you would find in stores with the same qualities. 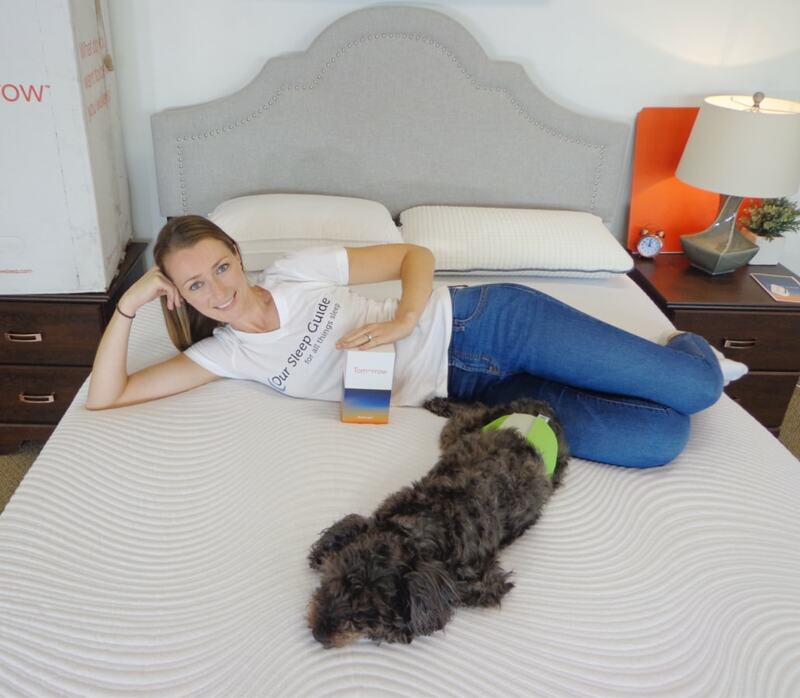 It has outstanding features that check all the boxes for the best memory foam mattress that we’ve tried, and a smart mattress choice to make if you’re shopping for a new one. 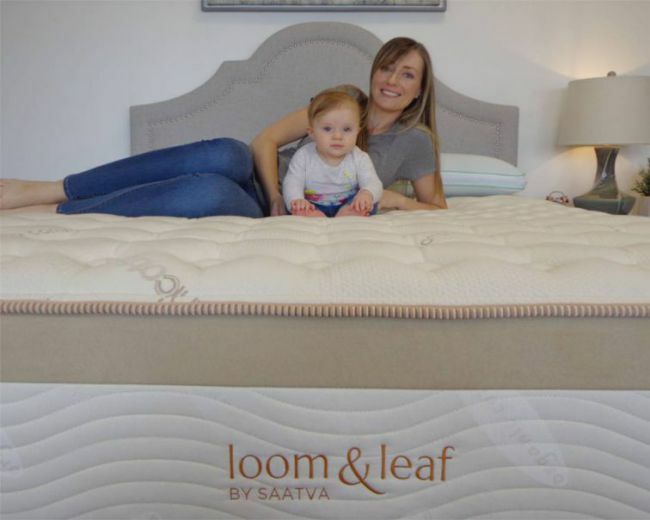 Buy the Loom & Leaf mattress HERE. The off gassing of the Loom & Leaf is very minimal, mostly because this mattress is NOT rolled packed. This mattress is not shipped in a box and is delivered by a white glove delivery service. This allows for minimal noxious odors to be trapped into tightly bound plastic. The comfort of this mattress is the perfect balance of hug and bounce. This memory foam mattress has an ideal feel that doesn’t feel like you sink in too much or feel stuck, but still hugs you just right, creating a nice feeling for stomach sleepers and others alike. This mattress is a thick, durable 12″ mattress that uses high end materials to create this luxury bed that is super comfortable and pressure relieving and has ample support. It also comes in two comfort options, the luxury firm as well as firm. Motion transfer in the Loom & Leaf is hardly existent. This all foam mattress absorbs any vibrations from movement and makes for no partner disturbance, even for the lightest sleeper or stomach sleepers. It’s also one of the recommended mattresses for side sleepers we cover on our website. The dense memory foam layers along with the solid foundation give plenty of support while deadening any motion. Considering this is a memory foam mattress that is usually associated with retaining heat, this particular one does a great job of keeping heat retention at bay. The Loom & Leaf uses breathable & gel infused materials as well as an entire gel panel under the cover to keep you cool and comfortable all night long. It’s one of the best mattresses you can buy so you won’t sleep hot at night. Edge support on many online mattresses tends to lack due to compressing them to fit in a box. However, this mattress is able to use more durable, solid edge materials because it isn’t roll packed and boxed. This makes for the perimeter of the mattress to feel stable and the whole mattress can be utilized from edge to edge. It’s more reasons why we’ve chose this as our top mattress pick of the year for pure memory foam mattresses. The Loom and Leaf mattress is a great value. A queen size is priced at $1099 with $99 shipping fee for a total of $1198. For a premium, memory foam mattress that uses the best materials, comfort layers, and construction and is delivered right to your bedroom this price is worth every penny. The materials in this bed make it a top notch quality soft mattress that will not only give it a luxury feel but also last for many, many years. 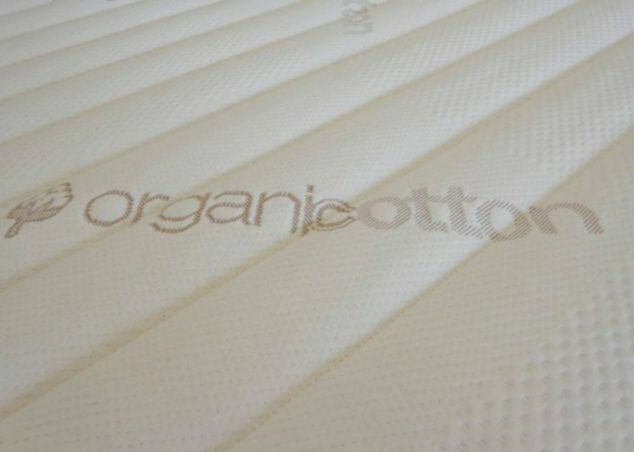 This mattress 12″ is constructed of 4 high end foam layers along with a plush organic cotton cover and gel panel. The combination of these materials as well as the solid construction will give this mattress the longevity and durability for the long haul and minimize shoulder pain, back pain, and neck pain. The Loom & Leaf mattress has a 120 night sleep trial period. This is a bit longer than many other online mattress companies offer and their types of mattresses. This allows you a few extra days to see if it is the right bed for you. 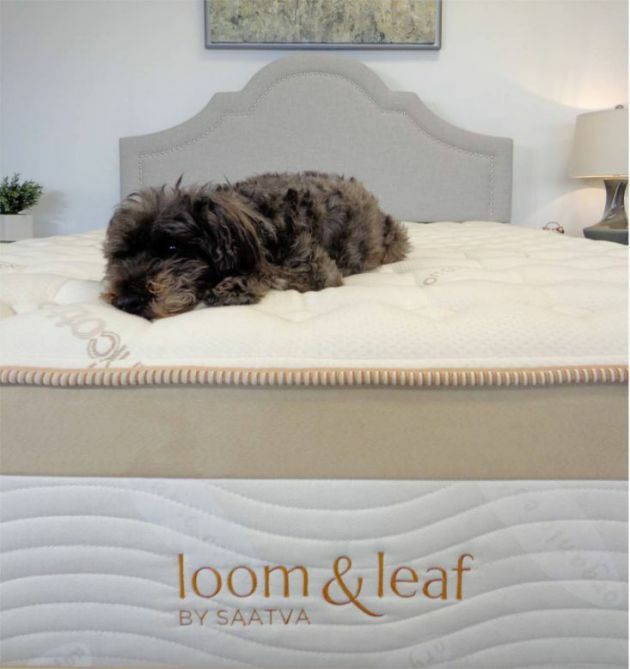 We highly doubt that this mattress won’t be loved instantly, but if for some reason it doesn’t, Loom & Leaf will gladly work with you to make sure you are taken care of. The Loom and Leaf mattress has a 15 year warranty. This is a bit longer than many other online mattress companies offer like Brooklyn Beddings and other soft foam mattress offerings like the Amerisleeps As3 mattress. It also shows that they truly stand behind their mattress if they are willing to go the extra mile to warranty it for a few more years than most competitors. You like an all foam mattress that allows you to choose your preferred level of firmness whether you’re one of the stomach sleepers or side sleepers. You like a high quality memory foam mattress with dense, quality layers and top notch construction that will be delivered and set-up for you. You like a bed that delivers on premium comfort, has minimal motion transfer, sleeps cool and comes in at a great price point. You like a company that creates a great product and stands behind it with a solid warranty and trial period. 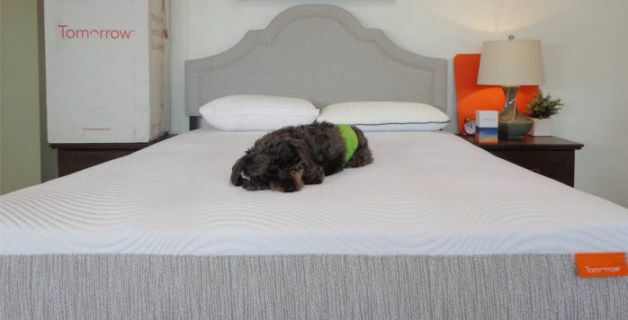 Read our full review HERE or Shop the Loom and Leaf mattress at loomandleaf.com. This mattress was one of our favorites and even is our top rated custom mattress of 2017. This bed is an ideal fit for everyone since it is made just for you and makes it a perfect mattress. If you are looking for a custom made hybrid mattress with quality materials and a premium, personalized feel, read more below about the Tuck mattress. 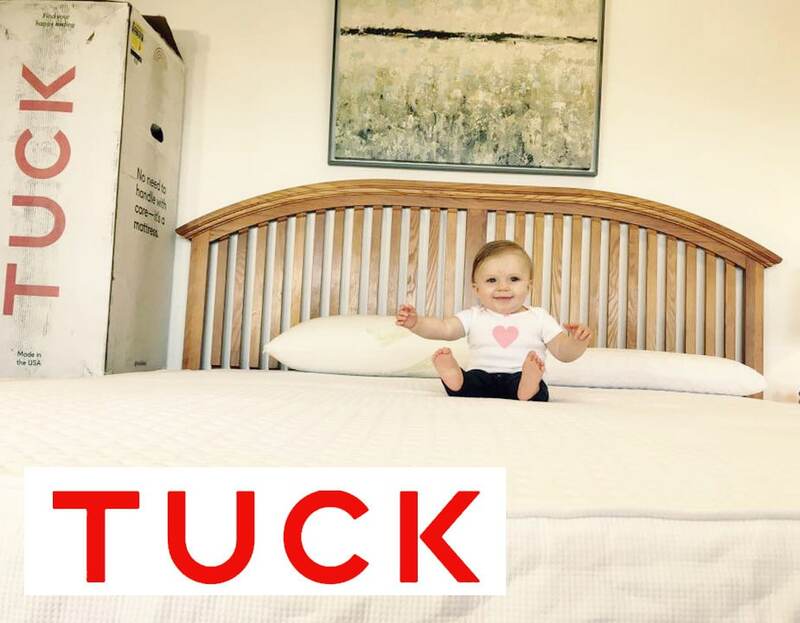 The Tuck mattress is a hybrid bed that is customized and created specifically for you. Every square inch of this mattress is made with you in mind. You simply take a short survey that asses your needs, size and sleeping preferences. Than a mattress is engineered and made with the ideal support, comfort and properties that create your perfect sleeping surface. This Tuck bed uses high end materials in every mattress that are adjusted in firmness and softness to create your one of a kind mattress. This personalized bed is than conveniently shipped to your door and ready to sleep on in no time. 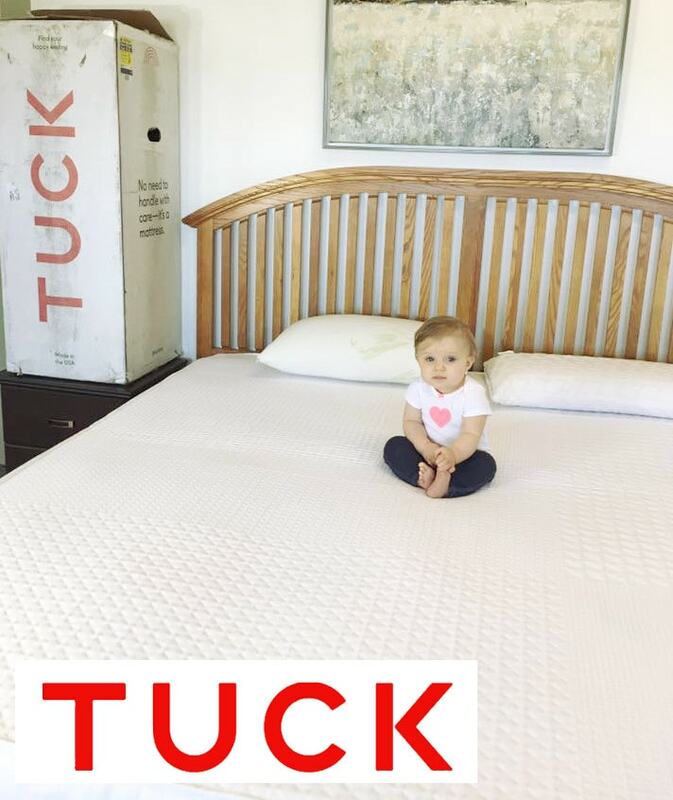 Buy you Tuck mattress at trytuck.com. The off gassing for this mattress is very minimal. 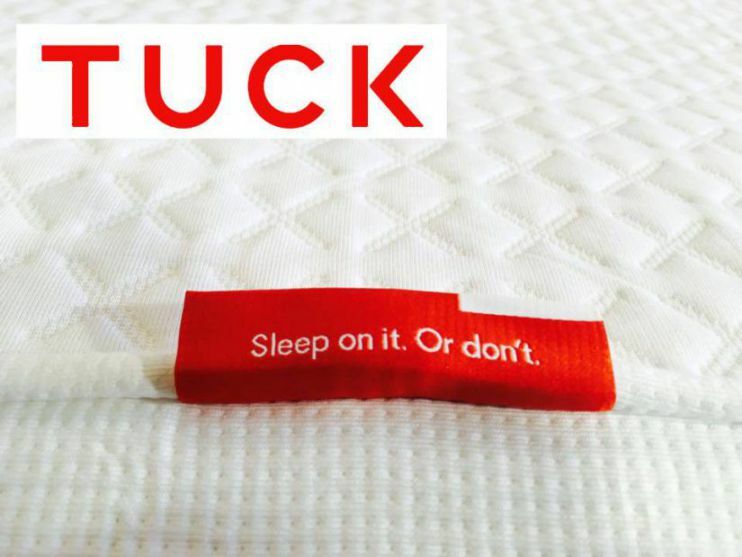 The Tuck is a made to order mattress so it isn’t made until you order it. This mattress is a USA made product that is than compressed and roll packed right before it is shipped. This means that it spends minimal time packaged before it gets to you and will have very little odor or off gassing when its being unboxed and set-up. This mattress does need a few hours to fully expand and be ideal for sleeping. The Tuck custom hybrid mattress is about as close to perfection as you can get on the comfort scale. This is because this bed is completely customized for you to fit your ideal comfort and firmness. This mattress can even be customized on each side, so if you and your partner have different comfort needs you don’t have to compromise and can both have your ideal mattress. This mattress uses premium foams and a solid durable coil on coil system to provide optimal support and spinal alignment. The motion transfer for the Tuck mattress is very minimal, especially for a hybrid mattress. 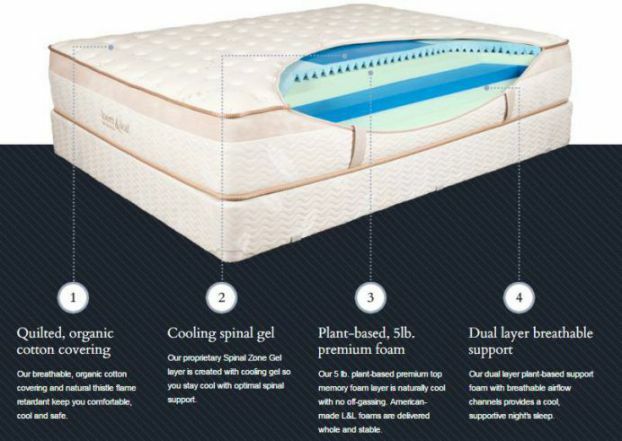 There are two coil systems in this mattress, however, each and every coil is wrapped to allow the benefits of a coil system without the disruption by movement. 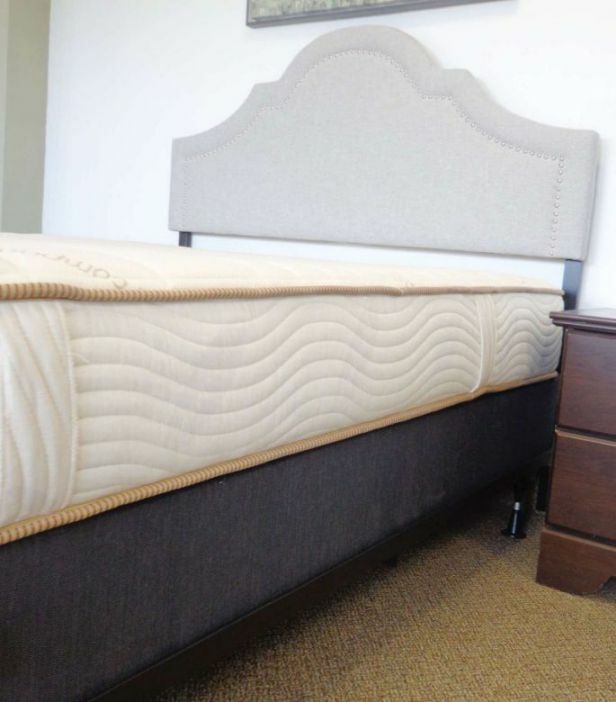 This mattress also has several layers of premium foams over the coil system to soften and deaden and vibrations that would cause partner disturbance. The Tuck bed does a great job for sleeping cool. Any mattress with a coil system will have an advantage over an all foam mattress. The coil system allows for plenty of heat dissipation and air flow and minimizes heat retention. This particular mattress has a dual coil system as well as utilizes latex that is naturally aerated. It even infuses the memory foam layer with gel as well as copper to really eliminate all excess heat sources. If sleeping cool is important to you, as well as ideal comfort, this mattress has it all. The edge support on this mattress will feel stable and sturdy and consistent from to side to side. The Tuck incorporates a thicker gauge steel around the perimeter to ensure the edges stay supportive. Sleeping on this mattress you will notice no difference from being on the edge or being in the middle. The focus on detail and quality doesn’t go unnoticed and even shows up in every aspect of the design of the Tuck mattress. The Tuck custom hybrid mattress is an amazing value. This bed comes in at $990 for a queen size and includes free shipping as well. To have a bed personally designed just for you that utilizes premium materials and durable construction is priceless. However, this mattress is able to deliver on quality without breaking the bank. 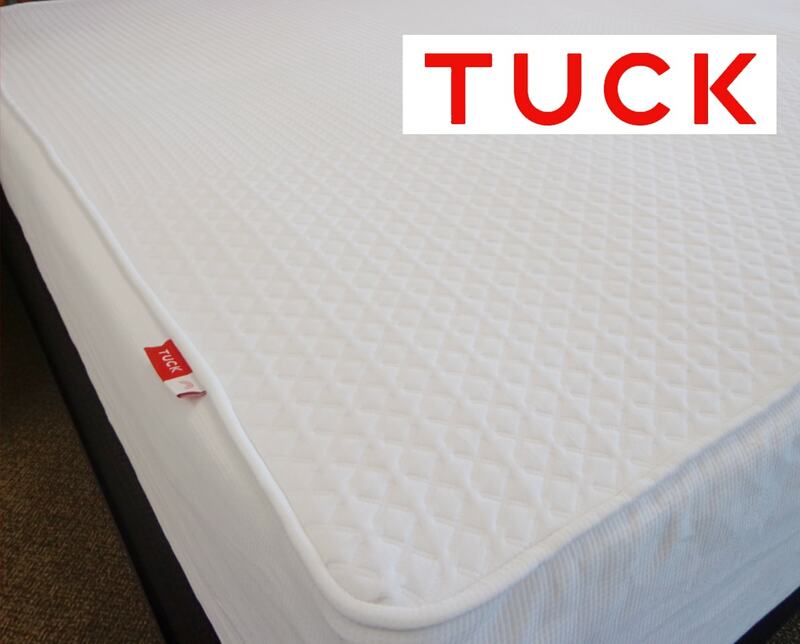 The materials of the Tuck mattress use a combination of the highest quality coils and foams. This mattress doesn’t use just one premium foam, but two, by incorporating the benefits of latex and memory foam to make a comfortable balance of hug and response. This mattress uses the support system of a thick, durable coil system with the flexible support of a micro coil system that sits over it. The combination of these coil systems provides ideal alignment as well as a durable core. This 11″ mattress even uses a cover that is not only soft and breathable but is eco friendly. Repreve yarn takes recycled water bottles and turns them into yarn and this is what part of this cover is made of. The materials of the Tuck mattress make this one of a kind for more than one reason. The Tuck mattress has a 145 night sleep trial period. This trial period is more than enough time and even above the standard 100 night trial most companies offer. Considering this mattress is made with you in mind, needing a trial period at all seems unnecessary. But some reason if your mattress doesn’t work this company is easy to work with and able to help address any issues. The 11 year warranty is a year more than the standard warranty of 10 years most mattresses offer. This warranty and trial period shows that this company really backs their product. This provides consumers with the confidence that this is a mattress that the company will stand behind. Buy the Best Custom Mattress of 2017 at trytuck.com. You like a high quality, durable mattress that uses luxury materials and comes in at a great price. You want a mattress that is customized and engineered specifically for you and your partners needs. You want a mattress that has the support and cooling properties of coils with the comforting feel of conforming memory foam and responsive latex. You like a company that is striving to make the best possible mattress and backs there products with an extended trial period and warranty. 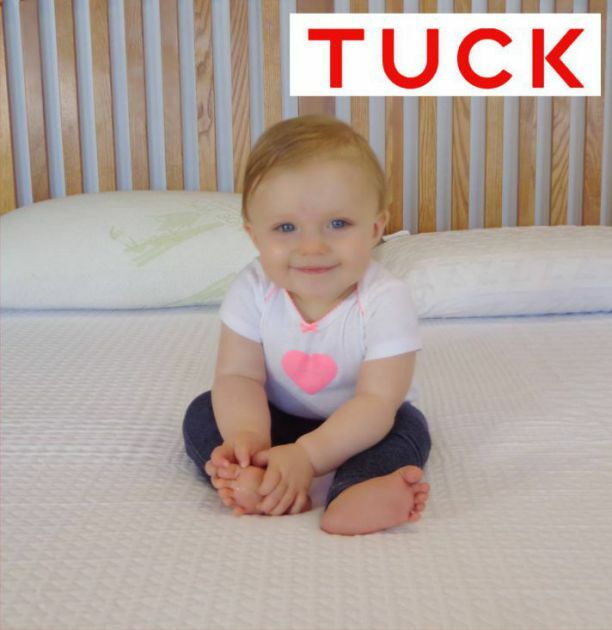 BUY your Tuck Custom Hybrid Mattress at trytuck.com. This mattress was one of our favorites and even is our top rated innerspring mattress of 2017. This bed performed excellently and makes for a truly premium coil on coil mattress. 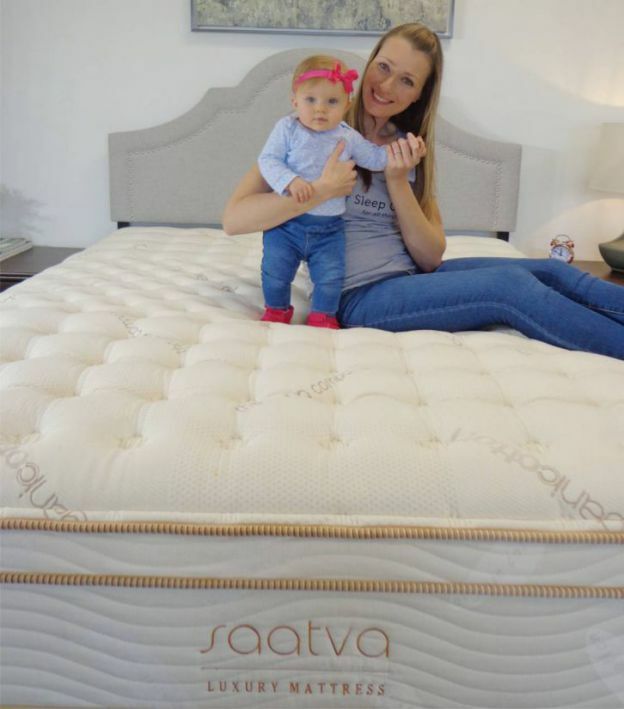 If you are looking for a high quality, premium traditional coil style mattress, read more below about the Saatva. The Saatva mattress is a luxury innerspring mattress that uses a coil on coil system to create loads of support. This mattress really focuses on construction and durability to create a traditional mattress with modern technology and premium materials. This mattress creates an ideal sleeping surface with just enough bounce and comfort too. This bed is even compatible with an adjustable base. The Saatva mattress really has all the right features to make it stand alone for innerspring mattresses. 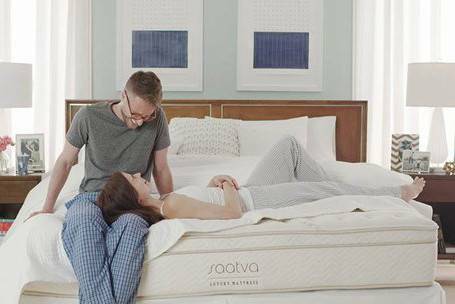 Like the Loom & Leaf, the off gassing of the Saatva mattress will be very minimal, because this mattress is NOT rolled packed. This mattress is not shipped in a box and is delivered by a white glove delivery service. This allows for minimal noxious odors to be trapped into tightly bound plastic. This luxury coiled mattress comes in three firmness options to allow you to find the best fit for you. These options range between plush soft, luxury firm & firm. Each of these mattresses will utilize the same coil on coil system to create ideal alignment and proper support. They also utilize memory foam that creates enhanced lumbar support as well as pressure relief and added contouring and comfort. This mattress also has a quilted euro top cover that adds another layer of plushness and just enough softness to let you feel just a bit cradled. The motions transfer on the Saatva bed will be minimal but more noticeable than it’s all foam counterparts. This mattress uses coils which the top set is individually wrapped to minimize vibrations, however, the second set is not, which adds just a bit of bounce. 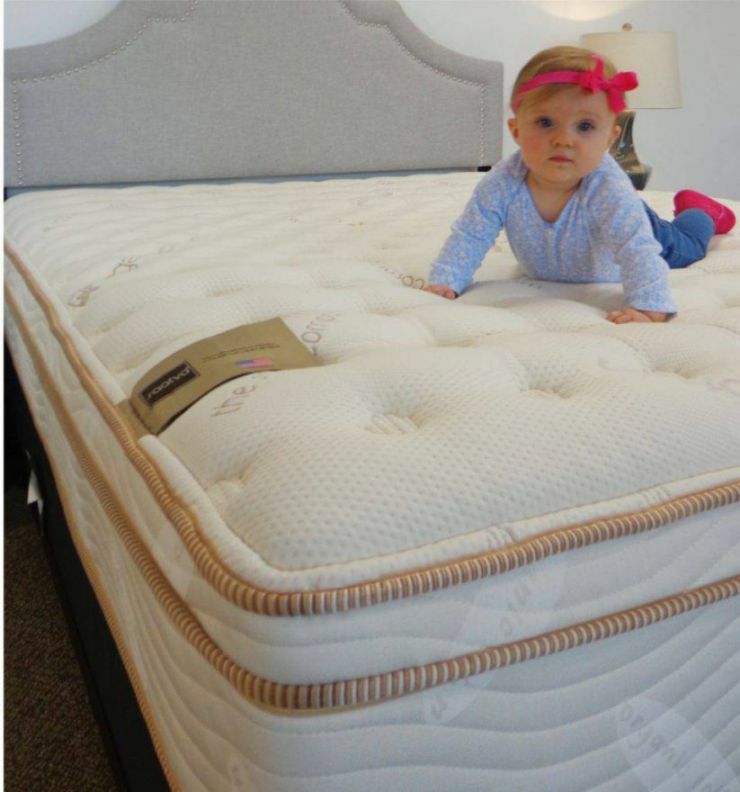 The top layers of foam, including a layer of memory foam, greatly soften any movement before it even reaches the coils, making for little partner disturbance. If sleeping cool is high on your list of needs in a new mattress than the Saatva should definitely make the cut. This coil on coil mattress allows for heat to dissipate and plenty of air flow. This mattress uses a support system that not only gives great comfort, but also doesn’t retain heat. 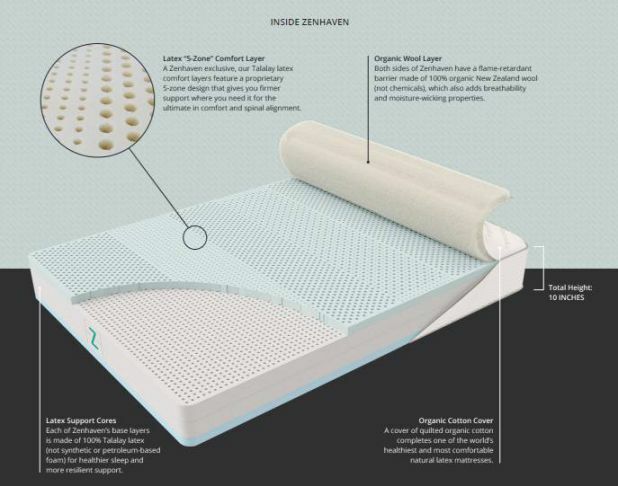 The top layers of this mattress are foams, but don’t add a ton of heat to the mattress and are also helped out by the breathable organic cotton cover. The edge support in the Saatva goes above and beyond by using dual perimeter sturdy foam encasement. This creates a really durable edge and consistent feeling mattress from end to end and side to side. 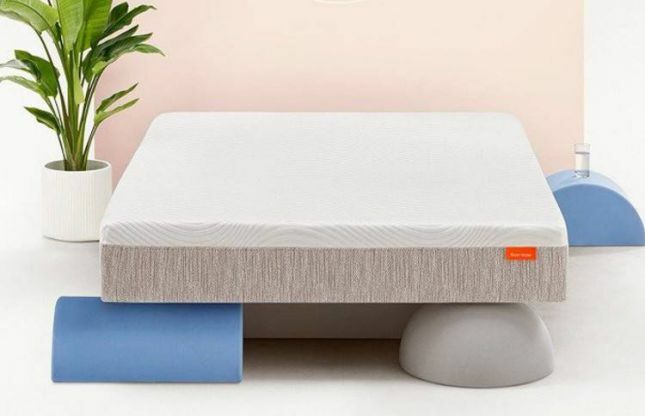 The added stability not only makes for a fully usable mattress but also makes for a solid edge that will hold up even if you sit on the edge from time to time. The Saatva mattress is a great value. A queen size is priced at $999 with $99 shipping fee for a total price of $1098. For a premium, coil on coil mattress that uses the best materials and construction and is delivered right to your bedroom it is well worth the price. The materials that make up this high end, quality mattress will not only give it a feeling of complete comfort they will also last for the long haul. 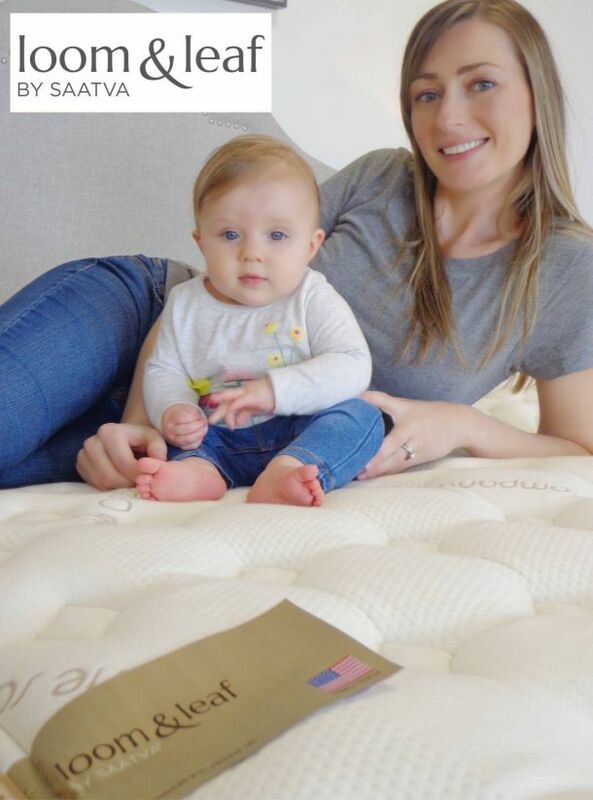 This mattress comes in two thickness options, 11.5″ or 14.5″ and is constructed of two solid coil systems as well as several layers of premium foams adjusted to each comfort level. All of this is wrapped in a plush organic cotton cover. The combination of these materials as well as the solid construction will give this mattress the longevity it needs as well as the ideal comfort that won’t alter over time. The Saatva mattress has a 120 night sleep trial period. This is about 20 days longer than the average trial periods of most mattresses and gives you more than enough time to try this bed it. If it isn’t for you, Saatva will work with you to make the return process as simple and easy as possible. This mattress also comes with a 15 year warranty. This also is 50% longer than the average industry standard warranty and really proves the quality and durability of this mattress go the distance. It also shows that Saatva truly stands behind their mattress. Buy our Best Innerspring Mattress of 2017 at Saatva.com. You want a solid, well constructed mattress with durable materials that won’t break the bank. You like a traditional feeling mattress that comes in two comfort options as well. You want a mattress that keeps you cool, has durable edges and is hand delivered right to your bedroom. This mattress was one of our favorites and even is our top rated hyrbid mattress of 2017. This bed performed extremely well, is durably constructed with high end materials and creates the perfect comfort for every sleeping position. If you are looking for a super thick and well made hybrid mattress with solid core and plush foam layers with just enough hug and response read more below about the Luft mattress. 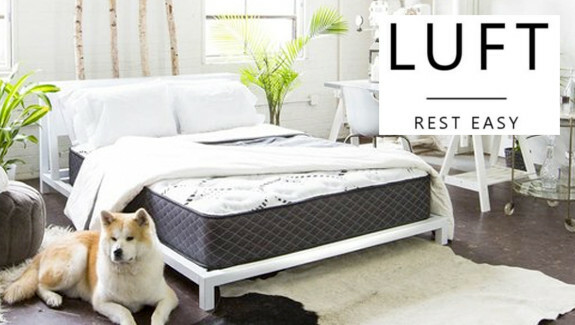 The Luft mattress is a bed that takes the best of the innerspring mattress and the best of the all foam mattress and creates a premium hybrid. This very thick and durable mattress uses a heavy duty coil system for plenty of support. As well as several layers of comforting and inviting foams to make a solid yet plush sleeping surface. This mattress really focuses on quality in materials and construction and is made by a company that came from the manufacturing side of the mattress world. This allowed for lots of first hand knowledge to be poured into the making of this bed. The Luft hybrid mattress combines the best of two worlds to combine forces and create an ideally supportive and comfortable bed. The off gassing for this mattress is very minimal. 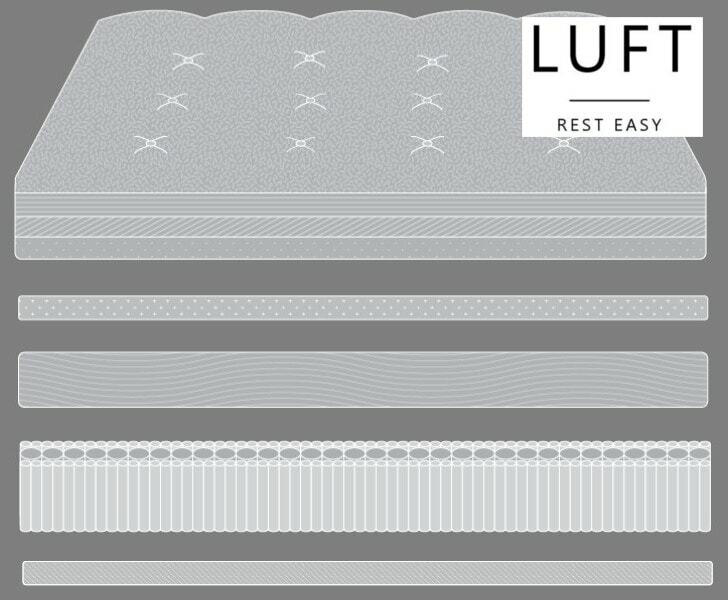 The Luft mattress is made in the USA than compressed and roll packed right before it is shipped right to your door. This mattress doesn’t spend much time in the box and that means that it will have very little odor or off gassing when its being unboxed and set-up. This mattress is VERY heavy (120 lbs for a Queen size) so it will definitely take two people to get it to where it needs to go. the only other thing during the unboxing process to note is that it does need a few hours to fully expand and be ideal for sleeping. 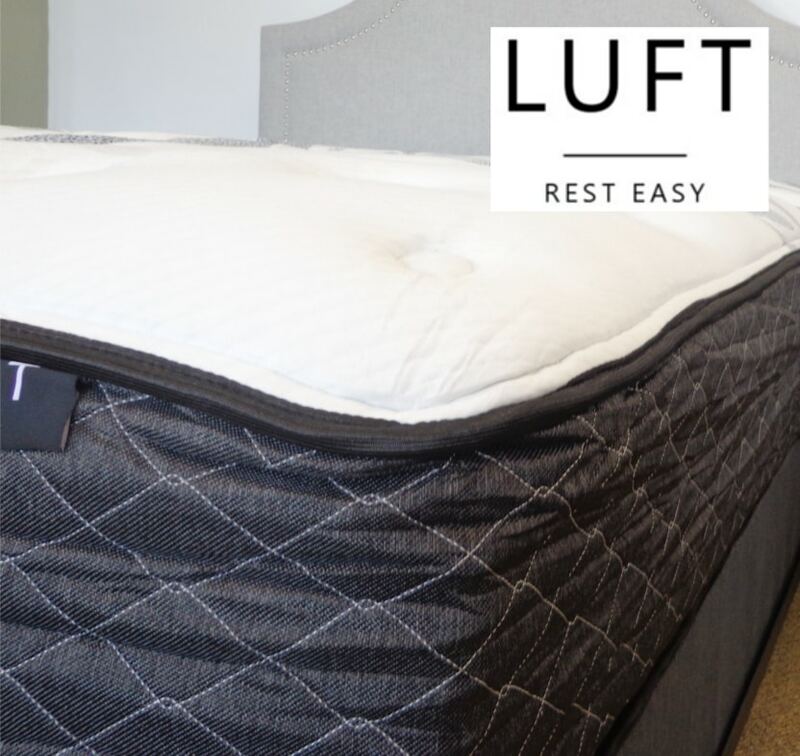 The comfort of the Luft mattress is the perfect balance of solid, supportive coils and just plush enough layers of foam to create a medium to medium-firm feeling mattress. This bed allows you to sink in just enough to feel pressure relief in all the necessary places but not too far to feel stuck or unsupported. The Luft hybrid has one universal comfort option that will appeal to the majority of sleepers and will have a “not too soft” or “not too firm” feel that should be “just right”. Even without multiple choices for comfort, this mattress should transition easily with all sleepers. The Luft hybrid mattress is just that, a hybrid, so there will be a coil system that will have a bit of spring. However, this coil system wraps each individual coil in fabric to minimize any vibrations. It also has several layers of foam over the coil system to soften and eliminate much movement before it even reaches the coils. This mattress will have enough spring to easily move, but won’t cause much, if any, partner disturbance and even for a light sleeper will work great. This mattress does a great job for sleeping cool. The coil system of this mattress allows for plenty of heat to dissipate and air to easily flow between the coils. It also incorporates other cooling properties in the foam layers too. The layer of memory foam in infused with graphite to also help keep heat retention minimized. It also has added cooling gel in the quilted cover as well as Dacron fibers that helps wick away moisture. This mattress may be thick, but it definitely won’t be too warm. The edge support of the Luft mattress will be very stable and solid and create a fully usable sleeping surface from every inch of this mattress. This mattress utilizes a heavier gauge steel around the perimeter of the bed to ensure a more robust edge that will keep the mattress feeling consistent for its entire life. Sleeping right up to the edge will not be a problem and even sitting on the side of the bed from time to time won’t make you feel like you are falling or sliding out. This mattress really focuses on the details to ensure a durable and solid bed from every angle. The Luft hybrid mattress is an INCREDIBLE value! A queen size is priced at $850 and includes free shipping. 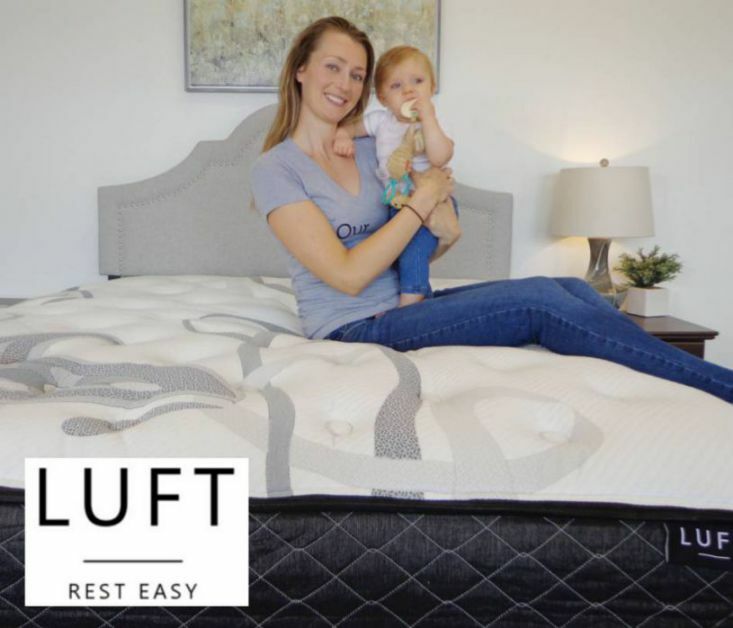 However, we are able to exclusively also offer an additional savings of $125 with our coupon code: OURSLEEPGUIDE125 to make the Luft mattress $725. For a high quality, very well made, super thick hybrid mattress you are getting a steal of a deal. Make sure you are able to take advantage of this current price at luftbeds.com. 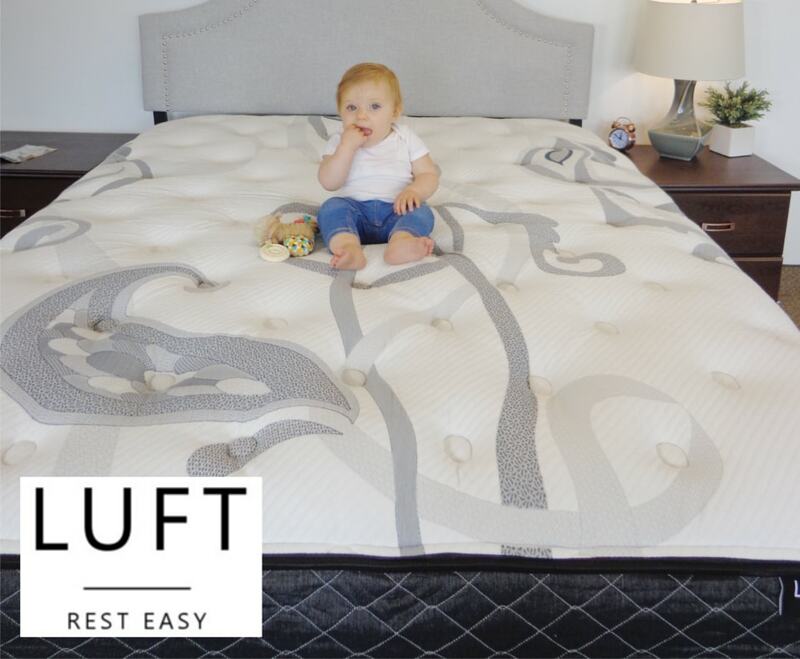 The materials in the Luft bed combines a thick and solid heavy gauge 8″ coil system along with several premium layers of foams to create a super thick 14+ inch mattress. The quality of these materials, along with its ideal construction, make for a durable mattress that you will get plenty of life out of. The attention to detail and focus on support and comfort are a testament to the high end materials as well as know how when engineering this bed. The Luft mattress has a 100 night sleep trial period. This trial period allows for a sufficient amount of time to see if this mattress is a good fit for you and also has an easy return process if it isn’t. The Luft mattress has a 10 year warranty for this product. The 10 year warranty is a fairly standard warranty for the mattress industry. This provides consumers with the confidence that this is a mattress with a company that will stand behind their product. Buy our Best Hybrid Mattress of 2017 at luftbeds.com NOW! You like a super thick, plush hybrid mattress that is right at a medium to medium firm comfort level. You want a mattress that uses durable materials with quality construction that will last the long haul. You want a mattress that has it all and will sleep cool, have durable edges, be ideally comfortable as well as minimal motion transfer all at a great price. You like a company that has years of manufacturing knowledge and experience that they can incorporate into their mattress. This mattress was one of our favorites and even is our top rated latex mattress of 2017. This bed really goes above and beyond to make for an almost perfect latex mattress. If you are looking for a high quality, dual sided premium latex mattress than you are looking at the right bed. Learn more about the Zenhaven latex bed below. The Zenhaven mattress by Saatva is a two sided all Talalay latex mattress that provides the comfort, cooling and responsive properties that only the natural rubber of latex can produce. The quality materials work in hand with the top notch construction that create this perfectly buoyant and contouring bed. The Zenhaven is the perfect name for this mattress and you will help you find your sleeping zen. Like the Loom & Leaf and Saatva, the off gassing of the Zenhaven mattress will be very minimal, because this mattress is NOT rolled packed. This mattress is not shipped in a box and is delivered by a white glove delivery service. This allows for minimal noxious odors to be trapped into tightly bound plastic. There will be a slight scent that this mattress has, but it is the natural scent of the latex rubber. The comfort of the Zenhaven latex mattress will be ideal for the person who likes the feeling of foam that doesn’t cocoon you. Instead it has a naturally springy feel that will push back against you to help you move easily, relieve pressure points as well as provide proper ergonomic spinal alignment. Latex will be more buoyant than memory foam but still soft and plush too. This makes for an all foam mattress that allows you to change sleeping positions easily. This mattress also happens to be two sided, with one sided being a little softer and the other a little firmer. This allows you to choose your ideal comfort and support. This mattress is an all foam, but this happens to also be 100% latex foam that has more responsiveness than memory foam or poly foams. This makes for a bit more vibrations that travel through the mattress, however, the additional movement is very minimal and won’t make for much partner disruption. You may feel that you can move easier but when you do it should produce very little transfer of that movement. 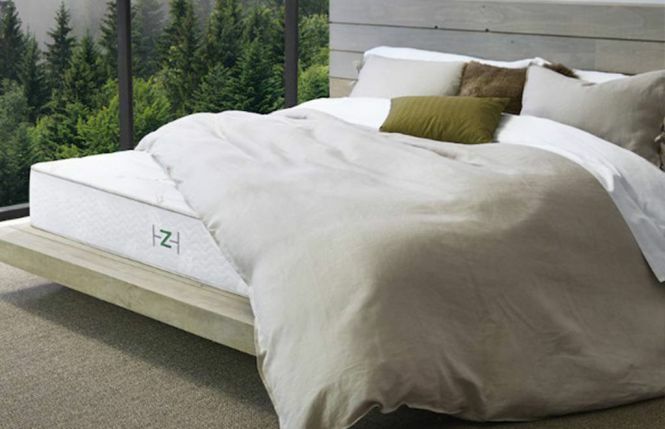 The Zenhaven latex mattress is great for sleeping cool. Latex is a great material if you want an all foam mattress but are a warmer sleeper. Latex is naturally aerated to help minimize heat retention. It also is more buoyant so you won’t feel “stuck” in the bed where heat tends to get trapped around you. This mattress also happens to have a nice quilted cover that is made of breathable organic cotton as well as a layer of naturally moisture wicking wool. The edge support of the Zenhaven will feel very consistent and durable from every angel. This is because this mattress uses the same high density Talalay latex foam in every layer and this naturally dense foam will hold its shape very well. This high quality, durable material makes for a mattress with much stability and support that will last a long time, even if you are sleeping right up to the edge or occasionally sitting. The Zenhaven latex mattress is a good value. A queen size is priced at $1899 with $99 shipping fee for a total price of $1998. This is not just a great price for one amazing mattress, but two, in this dual sided flippable bed. You get your ideal responsive comfort with natural materials and long lasting durable Talalay foam layers. That makes this mattress well worth its price tag. This 10 inch mattress is constructed of four layers of premium, durable Talalay latex. It has varying levels of softness and densities to create a solid all latex core as well as a plusher sided option and a slightly firmer sided option too. This mattress also uses a thick plush layer of wool batting on each side to add just enough softness and the natural benefits of this fiber. It also covers the bed in a soft organic cotton cover that is also breathable and makes for a smooth finish. 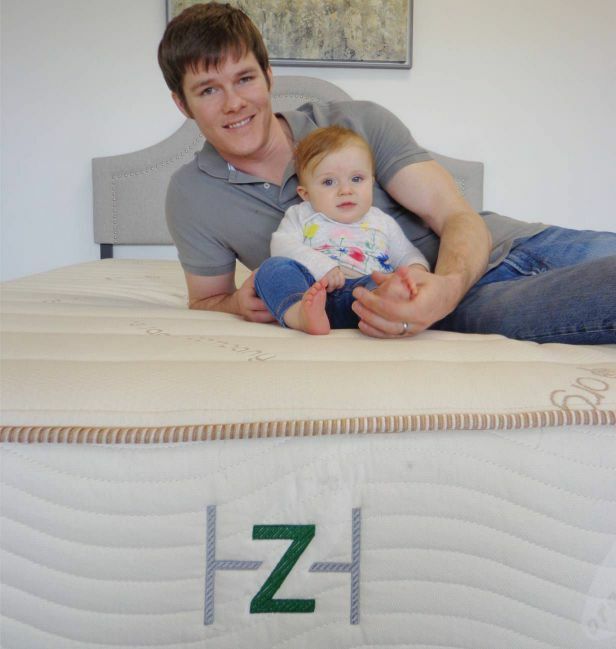 The Zenhaven mattress has a 120 night sleep trial period. This is a few days longer than many other online mattress companies offer. This allows ample time to see if it is the right bed for you. If it isn’t for you, Zenhaven will work with you to make the return process as simple and easy as possible. This mattress has a 20 year warranty. This is fairly standard for a mattress of this quality. It also shows that they truly stand behind their mattress if they are willing to go the extra mile to warranty it for a few more years than most competitors. Buy our Best Latex Mattress of 2017 HERE! This hybrid mattress is one of our top rated mattresses and even is our Best Mattress with a tracker of 2017. This two options available bed has only been on the market for a short period of time. However, when you’re partnered with Serta Simmons Bedding even with a new name you still have years of experience and knowledge behind you. Tomorrow Sleep is taking a holistic approach to sleeping by not only focusing on their top of the line hybrid mattress, but also utilizing the latest technology. Along with their mattress they also have come out with an entire line of products to promote the best and most restorative sleep. Potentially the most important of these accessories is their innovative sleep tracker. This small device easily connects to your mattress to analyze your sleeping patterns to offer suggestions for better rest. 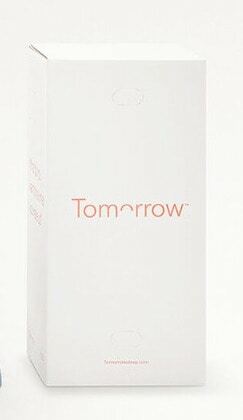 Tomorrow Sleep is ready to help you today, for a better tomorrow. The off gassing for this mattress is very minimal. The Tomorrow mattress is made in the USA than compressed and roll packed right before it is shipped right to your door. This mattress doesn’t spend much time in the box and that means that it will have very little odor or off gassing when its being unboxed and set-up. This mattress is VERY heavy (110 lbs for a Queen size) so it will definitely take two people to get it to where it needs to go. the only other thing during the unboxing process to note is that it does need several hours to fully expand and be ideal for sleeping. The Tomorrow bed is going to offer a great balance of coiled support along with the plush layers of premium foams. This mattress is also available in two comfort options with a medium-soft as well as a medium-firm to choose from. The medium-firm will appeal to the sleeper that likes the more “on the bed” feel while the medium-soft will work well for “in the bed” sleepers. Both will be great for relieving pressure as well as contouring to your body for proper spinal alignment. The Tomorrow Sleep hybrid mattress and like any hybrid there will be a coil system that will add a bit of spring. However, this coil system is pocketed which means each coil is individually wrapped in fabric to minimize any vibrations. It also has several inches of quality foams to soften and eliminate much of the movement before it gets to the coils. This mattress has just enough bounce to easily change sleeping positions, but won’t cause much, if any, partner disturbance, even for a light sleeper. This mattress does a great job for sleeping cool. The coil system of this mattress allows for plenty of heat to dissipate and air to easily flow between the coils. It also incorporates several cooling properties in the rest of the design too. Including thermic phase changing material added to the top layer of memory foam, more responsive layers beneath the memory foam and even ventilated foam around the edges. It even has a breathable cover that won’t build up heat too. The edge support of the Luft mattress will be very stable and solid and create a fully usable sleeping surface from every inch of this mattress. This mattress utilizes a ventilated foam encasement around the perimeter of the bed to ensure the edge is more sturdy and usable as well as keeps the mattress feeling consistent for its entire life. Sleeping right up to the edge will not be a problem and even sitting on the side of the bed from time to time should be fine. The Tomorrow Sleep hybrid mattress is great value. A queen size is priced at $990 and includes free shipping. However, we are able to exclusively also offer an additional savings of $125 with our coupon code: OSG125 to make the Tomorrow mattress $855. For a great quality, well made bed that even has the stamp of approval by Serta Simmons, you are getting an amazing deal. 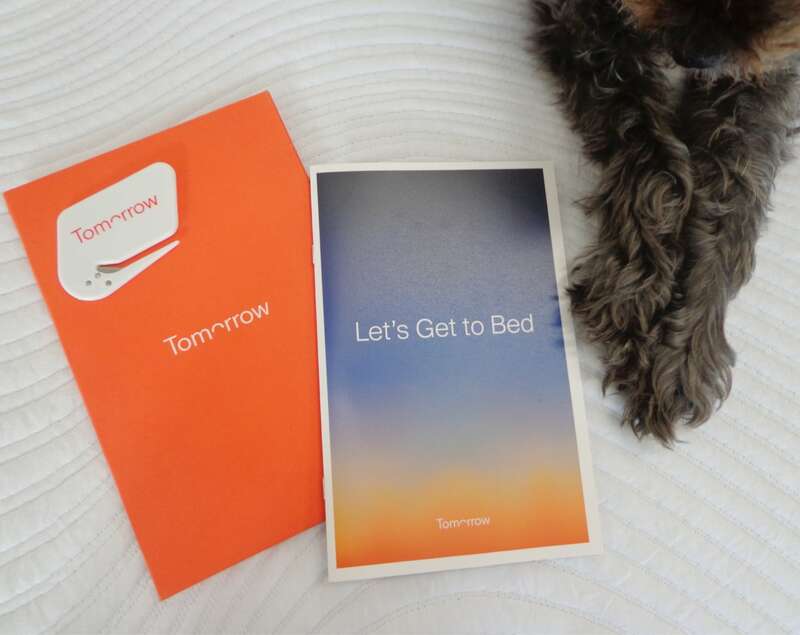 Make sure you are able to take advantage of our coupon at tomorrowsleep.com. 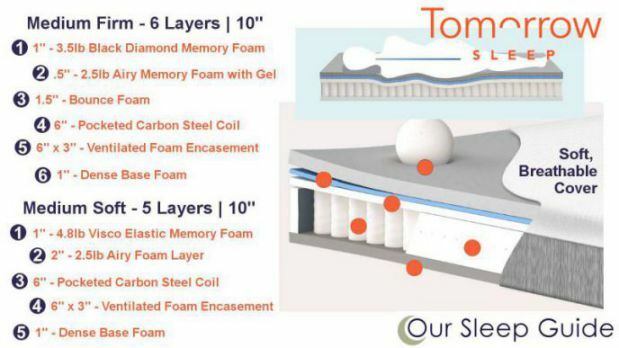 The materials in the Tomorrow Sleep bed has slightly different materials and construction depending on which comfort choice you go with. Both will have the same basic design of a supportive coil system layered with high quality foams. However, the densities and properties will vary slightly to make up each model. For more details and specs on the materials, read the full review HERE. 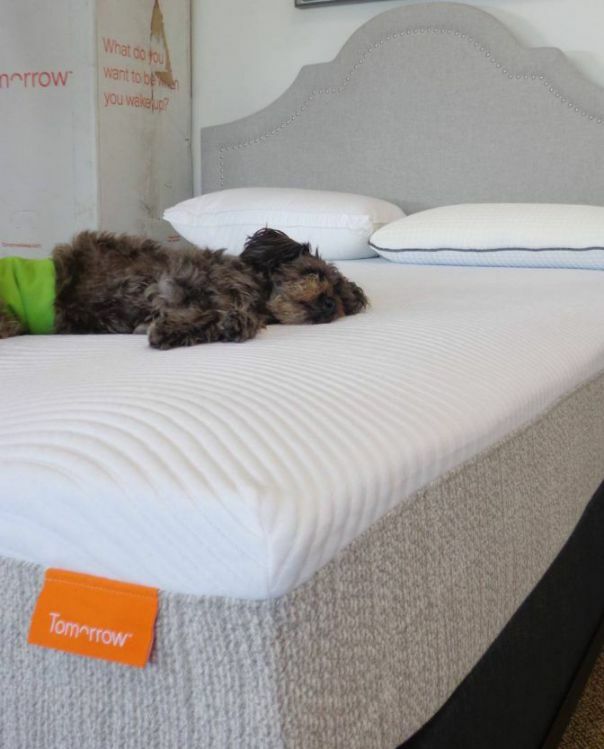 The Tomorrow mattress has a 100 night sleep trial period. This is the online mattress industry average and what is typical offered. This trial period allows for a sufficient amount of time to see if this mattress is a good fit for you and also has a very easy return process if it isn’t. This mattress has a 10 year limited warranty. Like most mattress warranties the 10 year Tomorrow Sleep Hybrid warranty is prorated to coincide with the natural average wear of the bed over time. This warranty is fairly standard and provides consumers with the confidence that this is a product that the company will stand behind. Save $125 on the 2017 Best Mattress with a Tracker with coupon code: OSG125 – CLICK HERE! You want a full encompassing sleep system that not only has a great mattress but a sleep tracker and all the necessary accessories for the best night sleep. You want an innovative company that is also partnered with an industry leader and expert in Serta Simmons. You want a hybrid mattress made with premium materials, choices in comfort and an affordable price point. This mattress is one of our top rated mattresses and even is our Best New Mattress of 2017. This all foam bed has only been on the market for a short period of time, but in that time has gained much popularity. The Puffy uses innovative materials that are optimal for cooling and pressure relief, as well as offers plenty of comfort and support. The Puffy mattress is a 10 inch, two layer mattress that incorporates patented foams for a cloud like sleeping experience. This modern all foam mattress really takes sleeping to a new level with it’s memory foam top layer that adapts to every point in your body. This makes for ideal spinal alignment as well as adaptable pressure relieving comfort. It is not hard to see why this mattress has become a fast favorite in a few short months. The off gassing for this mattress is very minimal. It is a made to order mattress so it isn’t even made until you order it. This bed is also USA made product that is than compressed and roll packed right before it is shipped. This means that it spends minimal time packaged before it gets to you and will have very little odor or off gassing when its being unboxed and set-up. This mattress may need a few hours to fully expand and be ideal for sleeping. The comfort of the Puffy is a great combination of a supportive core and contouring and responsive memory foam top. It makes for a nice balance between sinking in just enough without feel stuck and easily moving around without too much bounce. This mattress has a universal comfort that appeals to the vast majority and adjusts well to every sleeping position. Even though this mattress doesn’t have multiple comfort or firmness options, it should transition with every person to find the ideal sweet spot. Ready to sleep on a cloud? Buy your Puffy Mattress NOW! Just click HERE! The motion transfer of this mattress is so minimal you even the lightest sleeper will not feel their partners movements. This all foam bed quickly absorbs and deadens any movements and allows for little to no vibrations making for little partner disturbance. The true memory foam top along with the dense base really works well together for minimal motion transfer. 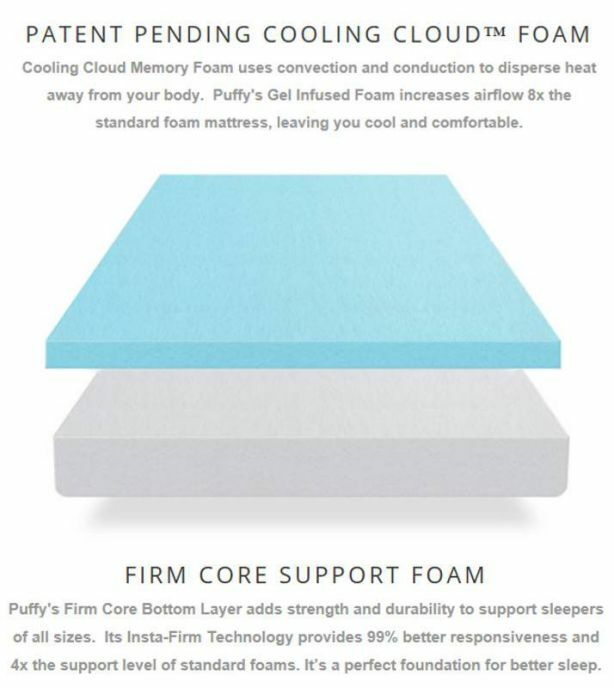 The Puffy mattress incorporates cooling technology that utilizes convection and conduction to pull heat away from the body as well as allow it to dissipate too. It is also infused with a cooling gel that increases the airflow significantly to rid heat as well. The dense base foam also acts as a solid foundation to keep you from sinking in too much. The edge of this mattress works well for creating a consistent feeling sleeping surface from edge to edge. It is plenty supportive to allow you to sleep very close to the edge and really utilize the full mattress. However, the edge may lack dense support needed for long term sitting though. The Puffy mattress is a good value. A queen size is priced at $1150 and comes with free shipping as well. This mattress also currently is discounted $200, making the price an even better deal at $950. Especially for a technology driven, cooling and adaptable bed that will be ideally supportive and comforting shipped right to your door. The Puffy is a well made, modern all foam mattress that uses two layers of foam to create a 10″ thick bed. These two patent pending foams work side by side to create a top layer of cooling cloud memory foam that is pressure relieving as well as cooling. The base foam is a dense firm core support foam that provides plenty of support as well as durability to allow the top layer to ideally perform. These layers compliment each other to make for materials that work in tandem to provide optimal comfort. The Puffy mattress has a 101 night sleep trial. This trial period allows for a sufficient amount of timeto see if this mattress is a good fit for you and also has an easy return process if it isn’t. This mattress has a lifetime warranty which goes above and beyond what the standard warranty for the mattress industry is. This warranty shows that Puffy really backs their product. This provides consumers with the confidence that this is a mattress that the company will stand behind. You want a mattress that has great support and ideal pressure relief that adapts and contours to your body. You want a memory foam mattress that has very little motion transfer as well as heat reducing properties. You like a medium-firm mattress that comes in at a good price point as well as offers a lifetime warranty. You want feel like you are sleeping on a cloud! 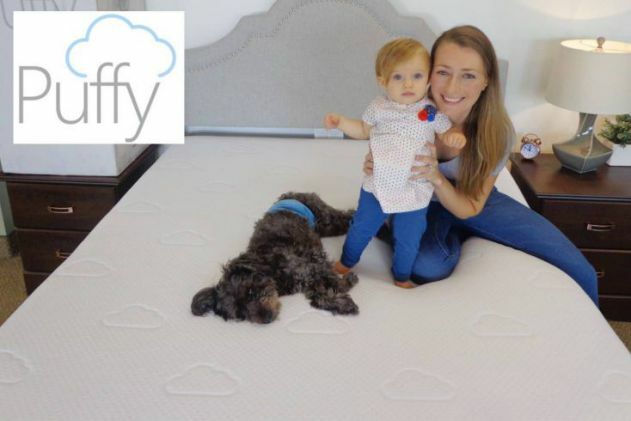 Read our full review HERE or Shop the Puffy mattress at puffy.com.